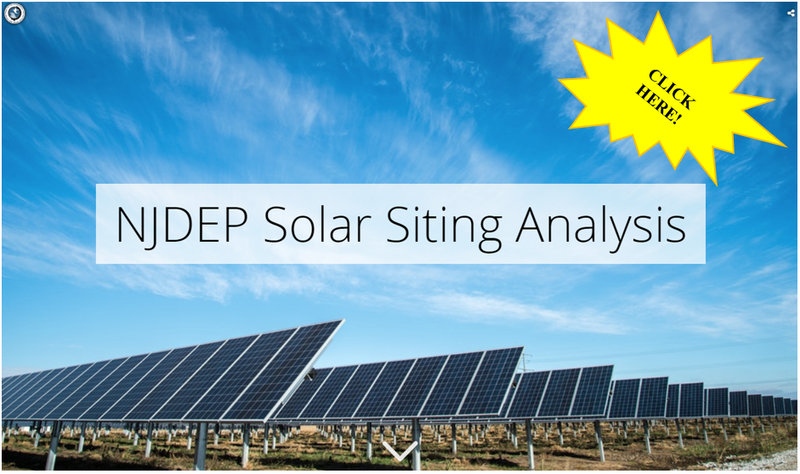 In 2017 the New Jersey Department of Environmental Protection’s (NJDEP) Bureau of Energy and Sustainability released a Solar Siting Analysis Update, available here. This analysis identifies sites where the Department would encourage solar installations from those where the Department would discourage solar installations, based on their land use and characteristics; maps and tabulates the resulting data; and reports the findings. New Jersey is #1 in the United States in Installed Solar PV Capacity per Square Mile therefore this Solar Siting Analysis update is timely as it provides the Department, local communities and potential solar developers with state-level guidance on siting solar PV projects. The Solar Siting Analysis found that 29% of New Jersey’s land area is generally appropriate for the siting of solar PV installations. View the full report here. The original version of the Solar Siting Analysis (2012) is available for download here. Before installing a large-scale non-rooftop solar project, it is recommended to schedule a meeting with the NJDEP’s Office of Permit Coordination and Environmental Review to determine what permits may be required and to identify potential issues. 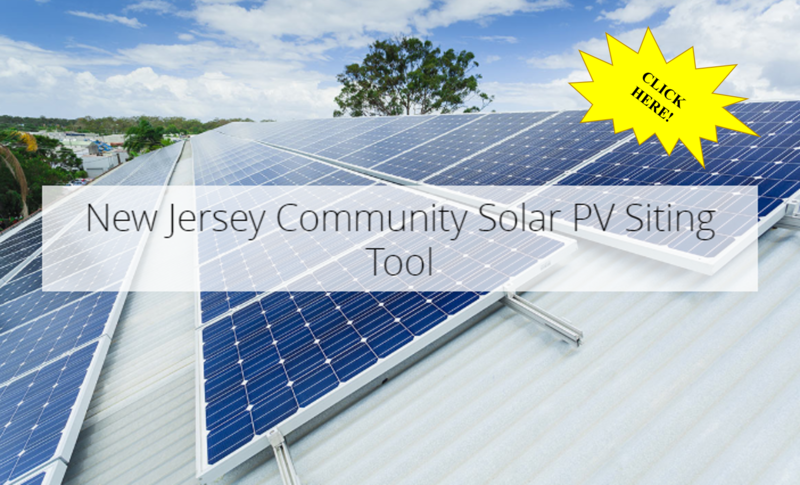 To support the BPU’s Community Solar Energy Pilot Program the Bureau of Energy and Sustainability has developed a Community Solar PV Siting Tool to help solar developers, municipalities and interested stakeholders find locations to site community solar arrays. *The preferred browser for this tool is Google Chrome. Community Solar PV Siting Tool Guidance Document.